It doesn't get much better than this... stunning scenery, a safe peaceful environment for little ones to run around, lovely interiors and fabulous wine on tap! 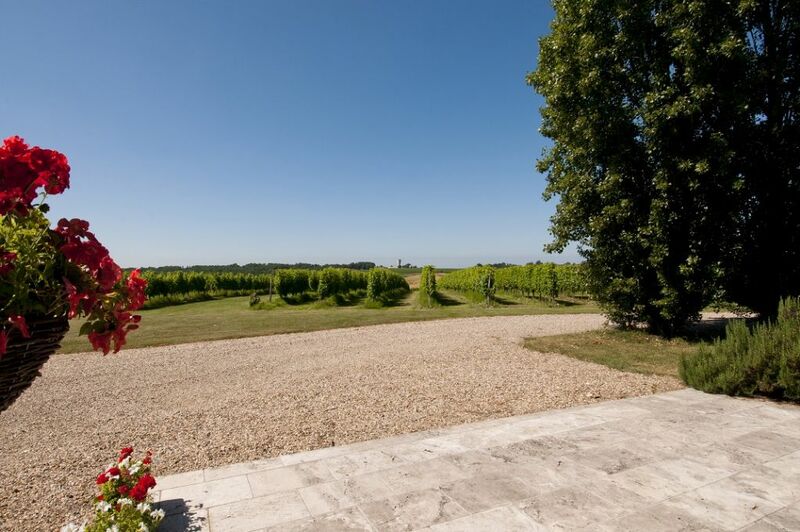 This stunning, chateau estate offers of over 100 acres of vineyard, woodland and fields set in the gastronomic heart of France. 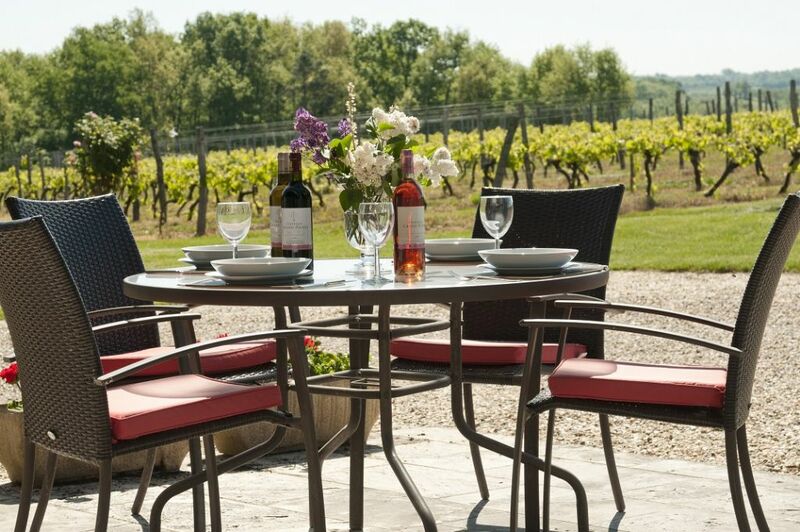 It not only produces delicious wines but is also a fabulous place to stay. The elegant honey coloured stone chateau can sleeps five in its pretty guest house 'Stone Cottage' and has lovely outdoor terraces for taking in the views, reading a book, or the simple pleasures of watching little ones enjoy the freedom of the estate with the toys, sandpit, swings and scooters provided. 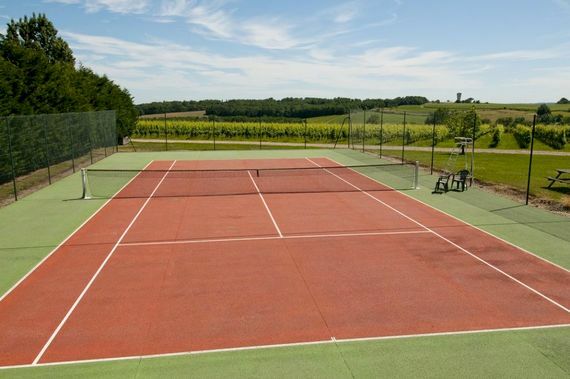 Playtime for older guests comes in the form of an all-weather tennis court and a beautiful 15 metre outdoor pool - great for mini guests too thanks to its huge shallow end and wide steps for sitting and splashing. Enjoy a truly private wine tour, play golf at the award winning Chateau Vigiers nearby, take the kids for a wander on the neighbouring riding school's Shetland ponies, have a picnic in the vineyard, or simply relax with a glass of the Chateau's own delicious sauvignon blanc by the swimming pool... idyllic! 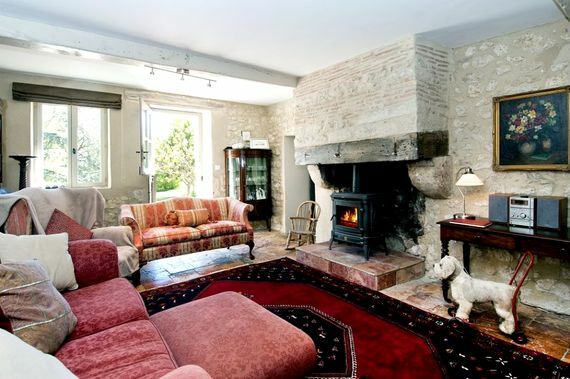 Stone Cottage sleeps five in two bedrooms (a twin/super king and a triple) split over two floors. 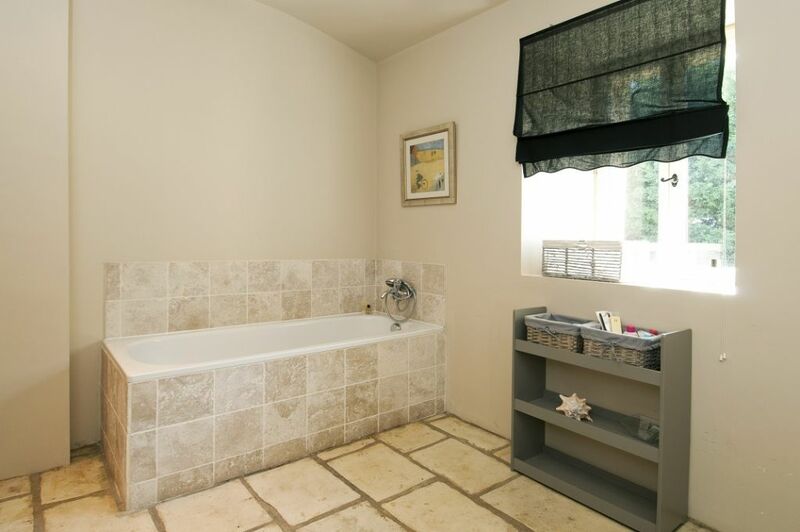 There's a well designed bathroom with tub and shower, a spacious lounge, dine-in kitchen and a pretty dining terrace overlooking the vineyard. 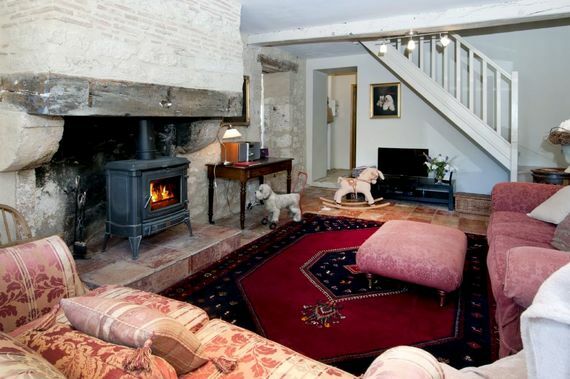 The owners of the vineyard, friendly ex-pat Brits Nick and Jackie Warner live in the adjoining main house. 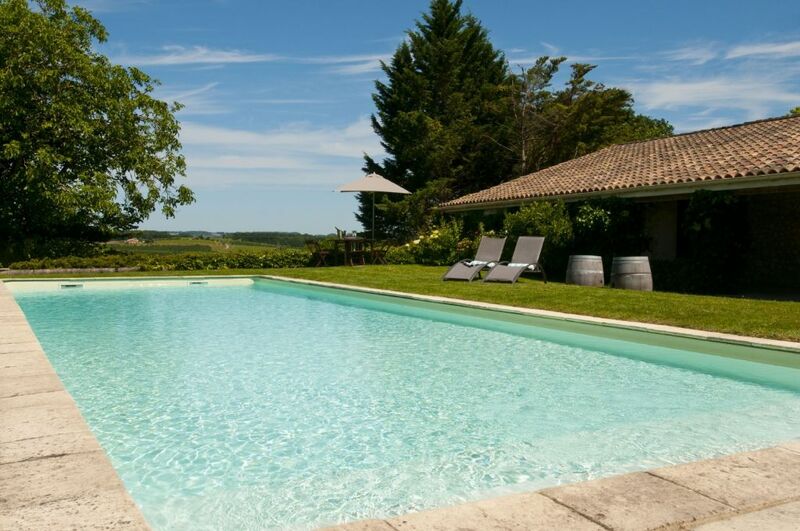 The chateau estate enjoys a beautiful and tranquil location on a hillside with fabulous views and is completely private. 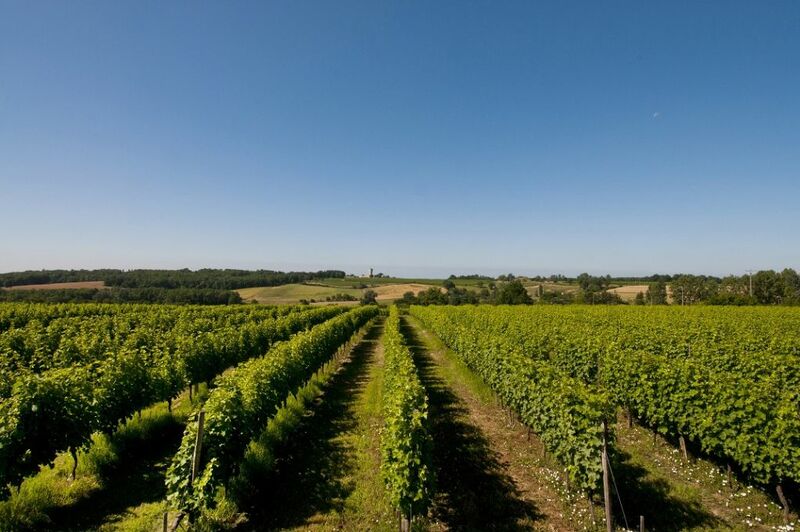 The vineyard is situated to the south west of Bergerac (airport 30mins) and the east of Bordeaux (airport 1hr 15mins). 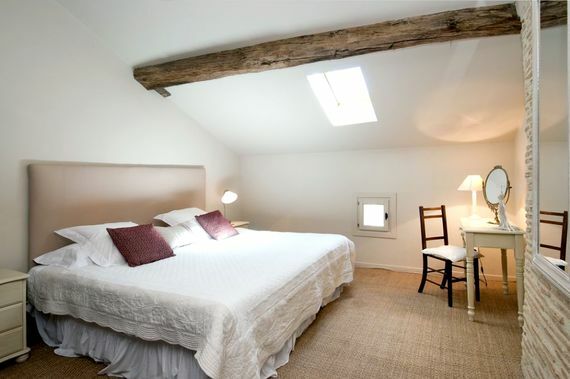 The river Dodogne is just 10 minutes away, and the charming medieval town of St. Emilion is just over 30 minutes drive, its’ cobbled streets crammed with boutiques, bistros and gourmet shops. Horse and pony riding at the neighbouring riding school is easily arranged, as are rounds at the fabulous Chateau Vigiers golf course. 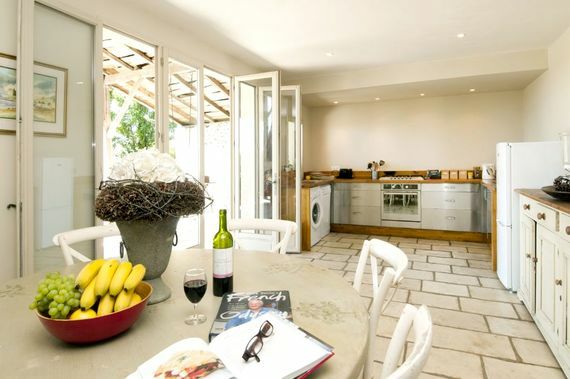 Make the most of the babysitting available and head out to one of the many fabulous restaurants nearby or enjoy food French-style with long leisurely lunches 'en famille'. 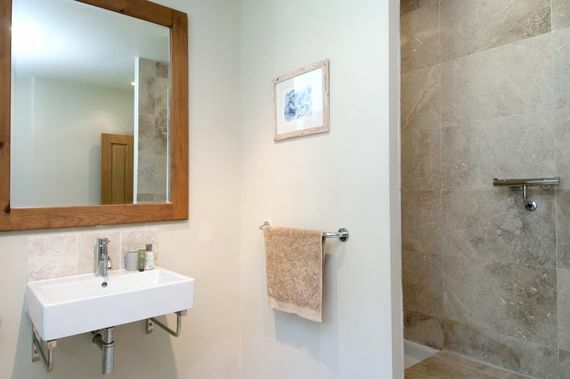 The House sleeps 5+cots in 2 bedrooms sharing one bathroom with WC, sink, bath and shower over. Little ones are very welcome to use the large 15 metre (unheated) pool with parental supervision. It has a huge shallow end and large wide steps for easy access. High chairs and cots are provided. Masses of toys, books, dvds and scooters are provided. A very comprehensive 'welcome pack' is provided in the form of a fridge stocked with delicious local food and, of course, lots of wine. Caters can be provided for special occasions or a full or part time cook can be arranged. Plenty of ride-on toys available. Large grounds with an orchard and plenty of space for little ones to run around. There are many golf courses within easy reach by car. We had a great time at Le Petite Grand Pierre. The location and villa are lovely. It is very quiet, peaceful and very relaxing. The hosts were excellent and helped us out whenever we needed them. The pool is really nice, the beds are really comfortable, the location is lovely, set in the vineyard. We thoroughly enjoyed the vineyard's own Sauvignon Blanc. It feels very rural but only 40 minutes from Bergerac airport and near Duras, a sleepy small town with some nice restaurants and a supermarket. Please note, there is a dog and 3 chickens that may join you on the terrace. The dog is very friendly. We had an amazing break with our 15 month old son. The hosts could not have been more accommodating and the setting was amazing. We spent our evenings sat outside looking over the vineyards enjoying the local foods and of course sampling the wine produced on site. Our little boy loved the pool, was only crawling during our stay but think if he had been walking would have loved to explore the vineyards further! The property itself was great for the three of us and with it being so sunny we spent most of the time out on the veranda. Wonderful first holiday with our six month old daughter. We could not have picked a better, more relaxing place to spend our time. Nick and Jackie were lovely and perfect hosts - we had a week with our kids that we shall never forget. 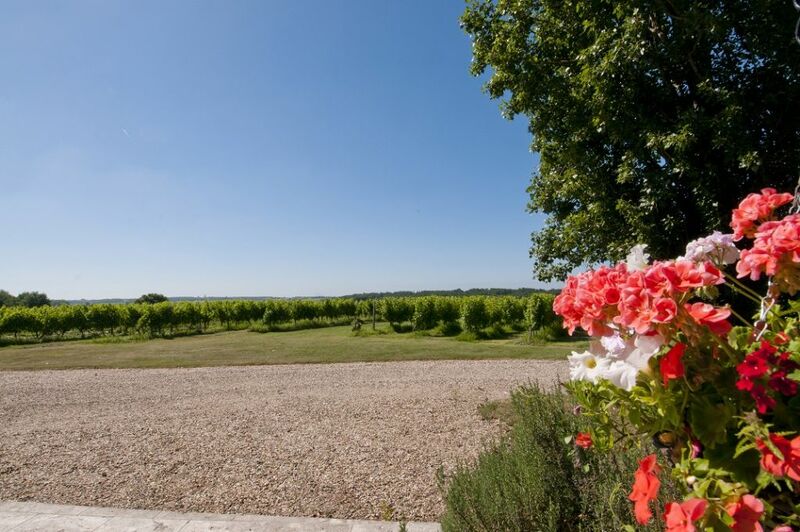 The property is in a lovely vineyard setting and the owners Jackie and Nick pull out all the stops to make it as enjoyable as possible. We stayed with our toddler in May and cannot recommend the place more highly. Nikki had thought of absolutely everything on the kid front, the location of the property was fantastic, and the accommodation was beautiful - we definately plan to return! We enjoyed staying at Grand Pierre so much that we booked up for the next year the day we got back! It is a magical place to wind down from hectic city life and to relax amidst beautiful surroundings. The children loved roaming the vineyards; we enjoyed the wine - all perfect! I can't recommend this place more. Relaxing with our family for two weeks in Grand Pierre was a memorable experience. 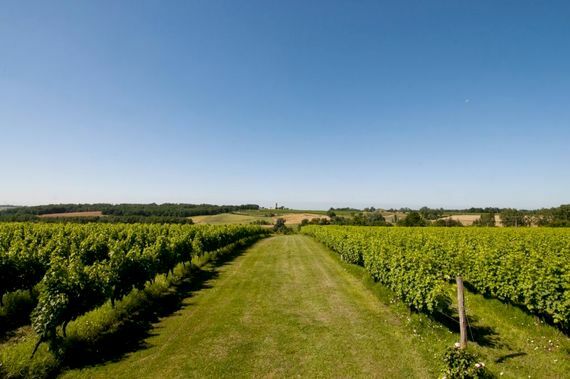 We loved the peace created by the combination of delicious wine, a warm welcoming house and the joy from watching our toddler explore the vines, fruits and nuts on our doorstep. The rich smell of fruit when cycling past the ripe plums stays with us today. 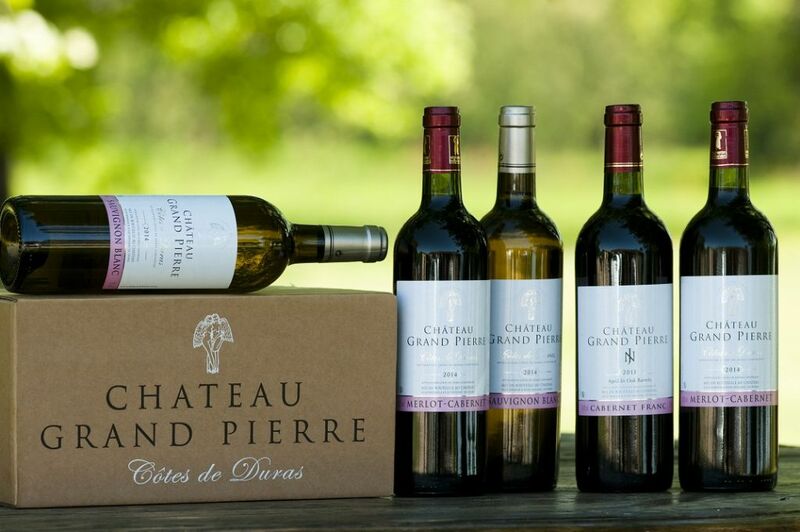 Grand Pierre is set in the beautiful rolling hills of Cotes de Duras - great Sauvignon Blanc country. 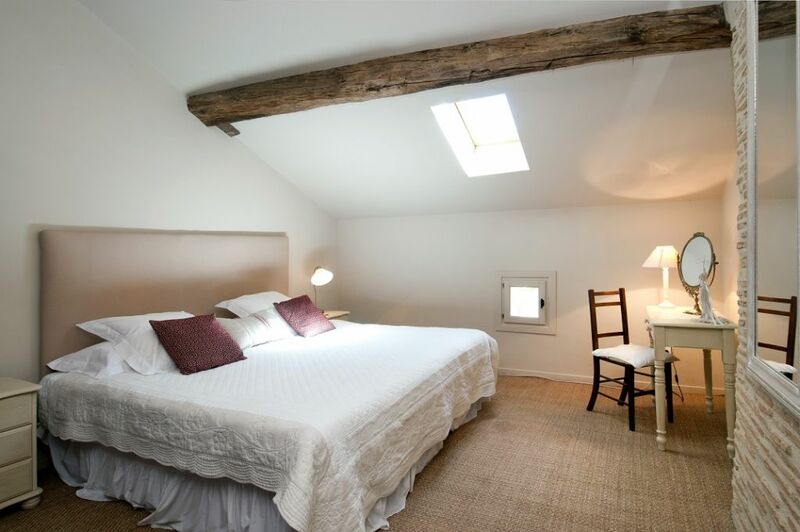 The interior has been beautifully restored with a contemporary feel, but is also ideal for small children. We had a wonderful stay and would highly recommend a visit. 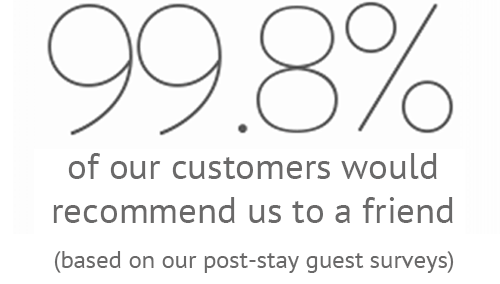 We stayed with our toddler in May and cannot recommend the place more highly. Nikki had thought of absolutely everything on the kid front, the location of the property was fantastic, and the accommodation was beautiful - we definitely plan to return! 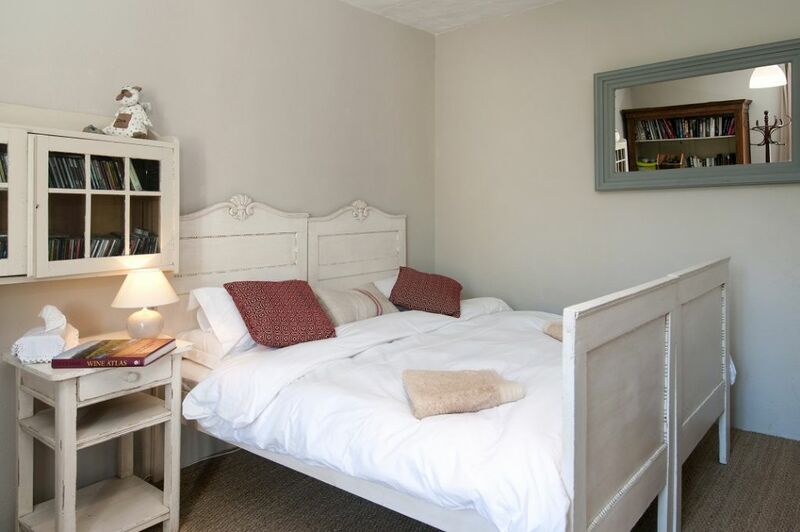 Beautiful accommodation, very friendly owners, amazing places to eat nearby!